﻿ Riad La Bague de Kenza Fes. JIMAT di Agoda.com! Ada soalan mengenai Riad La Bague de Kenza? Terletak di Fes El Bali, Riad La Bague de Kenza merupakan tempat menarik untuk memulakan pengalaman di Fes dan kawasan sekitarnya. Dari sini, tetamu boleh menikmati akses mudah kepada semua yang bandar meriah ini boleh tawarkan. Juga terletak berdekatan adalah Lihoudi, L'marqtane, Masjid El-Makoudi. Riad La Bague de Kenza menawarkan perkhidmatan yang sempurna dan semua kemudahan penting untuk menceriakan pelancong. Hotel ini menawarkan pelbagai kemudahan di lokasi untuk memuaskan hati tetamu termasuk yang arif. Masuklah ke salah satu dari 5 bilik tetamu kami dan tenangkan hati anda dengan pelbagai kemudahan seperti internet wayarles, internet wayarles (percuma), bilik larangan merokok, penyaman udara, pemanas yang boleh didapati di beberapa bilik terpilih. Sepanjang hari anda boleh menikmati suasana yang santai dengan rumah urut, taman, bilik wap. Nikmati perkhidmatan yang sukar ditandingi dan lokasi benar-benar berprestij di Riad La Bague de Kenza. Condition of the rooms are bad, damned on the carpet and toilets too are less clean. Not impressed at all. Cultural shock, smell shock, donkey and dunk every way. Nothing much to visit, don’t stay inside the old city, the road and building very messy, u will easily lost your way in the old city. 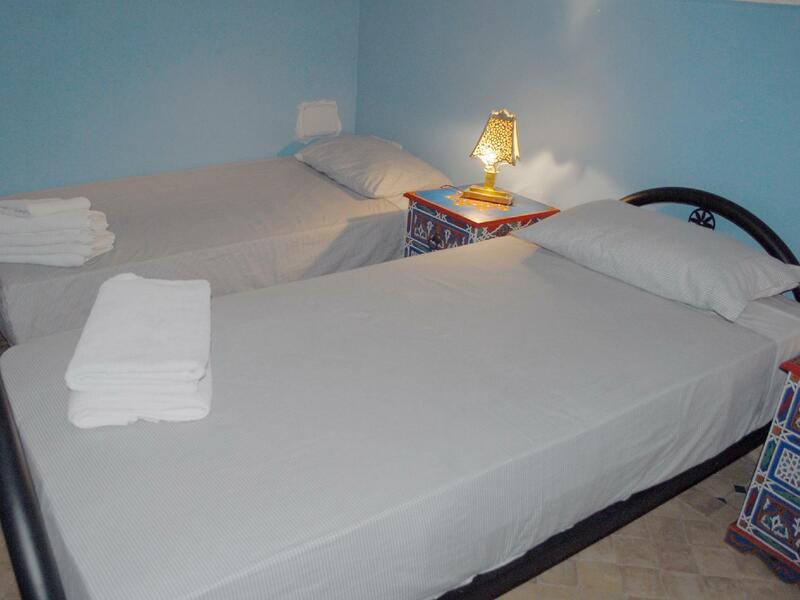 Sugguest tourist to stay outside of Médina, u only need less than half day inside the old city. We spent 4 nights here and it was great! Rachid and Fatima are both lovely hosts and Rachid in particular went out of his way to make sure that everything went smoothly for us, including arranging 2 excursions, helping with taxis, finding a restaurant for us and accompanying us around the medina (in the rain!) so that we didn't get too lost. He found a heater for us and we had tea together on numerous occasions! Moroccan hospitality at its finest. Our room was large and clean, with plenty of blankets to keep warm and breakfast was plentiful. Additionally, the view from the roof terrace is one of the best in the Medina. Would recommend! 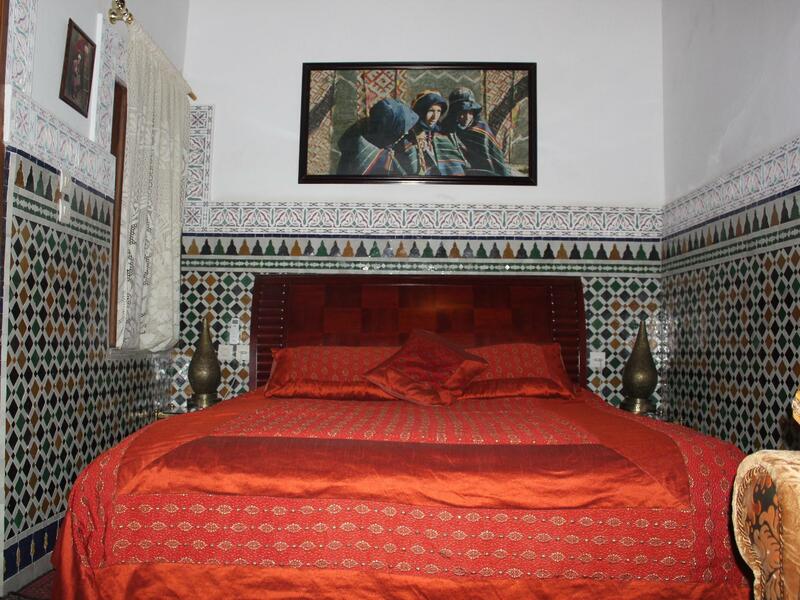 Riad La Bague de Kenza is great! 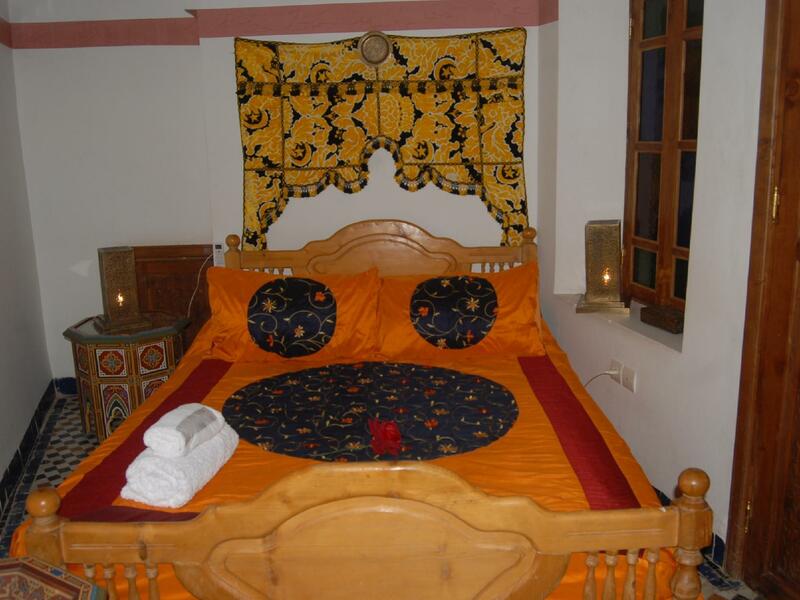 it's genuine Moroccan Riad. The dormitory is on the roof top, and the view from there was really nice. The breakfast on the roof top balcony was also great. As the hotel is so close to the Medina, its quite noisy. the room is only few inches to the neighborhood, you can hear everything on the street and the next room. a small toilet, and the room has some bad smell. If you cant sleep with light and noise. this is not the hotel for you. Hemos tenido un par de experiencias bastante negativas en el 'Dar', aquí pone Riad, pero no lo es, es un Dar. Comenzando por la ubicación, está en una zona nada turística y de noche hay unos cuantos maleantes que intentan perderte cuando vas de camino al hotel y acosarte, pidiéndote dinero. Nos pasó la primera noche y con noche me refiero a cuando se puso el sol, alrededor de las 20h30, he de decir que fue una situación muy tensa y pasamos miedo. Segunda experiencia negativa: Rashid, el encargado del hotel. Una persona nada fiable, aunque intenta parecer todo lo contrario.Nos engañó con el guía y el taxi. La terraza es lo más bonito del Dar, pero está bastante abandonada. Las habitaciones no están demasiado limpias. Malísima experiencia, la verdad. une bonne accueil, la gentillesse et la disponibilite de l équipe. merci à tous. Nous étions seuls dans l'hôtel : fort agréable, et service disponible.